State of preservation: An existing at present palace has survived in its entirety. It stands in the place of a former castle, of which only basements have remained. Driving from Opoczno down the road no 726 to Żarnów you drive through Ostrów, where you ought to turn left towards Białaczów. 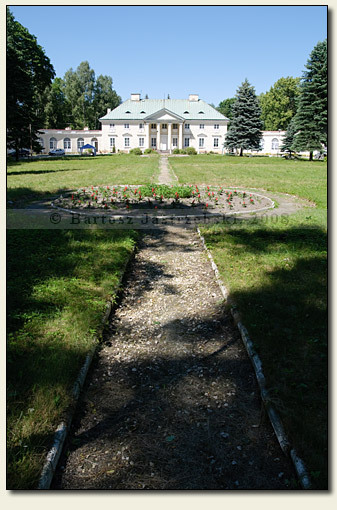 In Białaczów at the crossroads you have to turn right and after around 300 m, there is a palace on the right side. In Białaczów once existed a castle of the Odrowąż family, about which unfortunately, little is known. The remnants of the castle are in the palace park area. 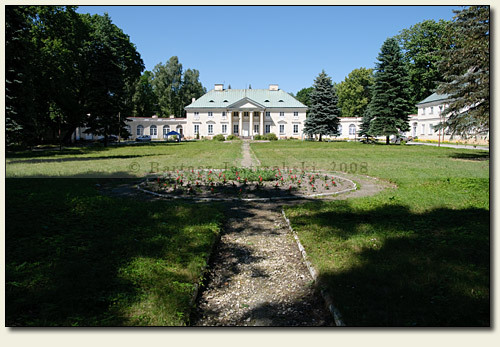 Whereas the construction of the castle was started in 1797 by Stanisław Małachowski.